In 2004, a pair of sneakers was found at the bottom of a closet during an estate sale in Vista, California. 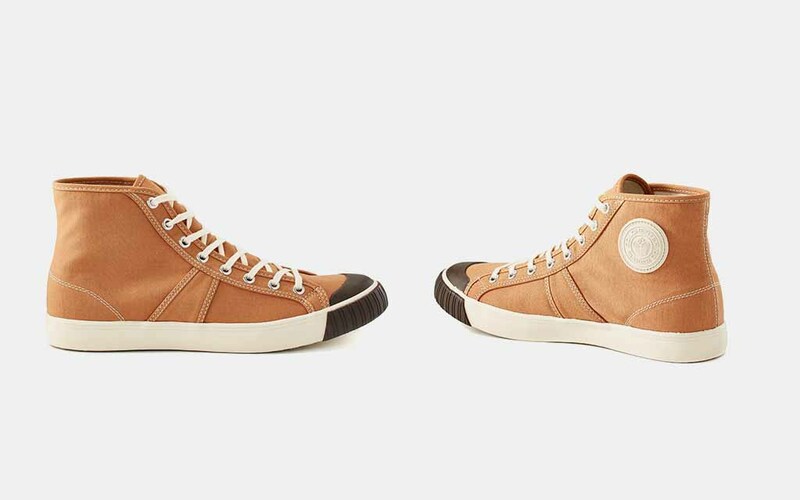 They were tan canvas high tops, with tin eyelets and yellow-aged rubber soles, and looked sort of like the Converse All Star’s great-grandfather. The people who found the shoes later learned they were Colchesters, a brand of “basket-ball” footwear developed in Connecticut by an Englishman named George Watkinson in 1892. Just a year before Colchester Rubber Co. debuted its prototype, Dr. James Naismith had invented hoops 50 miles away. Watkinson’s high top is even believed to have been worn by Naismith himself. There’s a reason no NBA players are sporting Air Colchesters today, though. The brand barely lasted two years; it shuttered after the Panic of 1893 (railroad overbuilding, wheat prices crashed, bank runs), and pretty much faded into history, before popping up again all Jumanji-like in 2004. At which point a team was assembled to revive the label and faithfully continue Watkinson’s original silhouette. Fast forward to 2019 and Colchester’s sneaks have just landed at Huckberry. 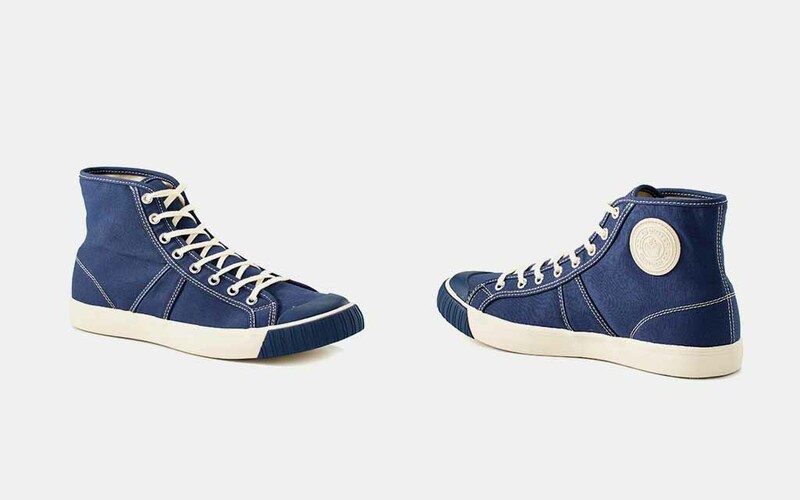 The high-top is fully stocked in Navy, Black and Deadgrass — the original colored fabric — while the company’s introduced a low top in the same colors, acknowledging the truth that 127 years later, this style of shoe is more suited for Casual Friday than the hardwood. Ironically, though, this iteration is better primed for performance; it’s constructed with vulcanized rubber, built-in arch supports and cushioned insoles. We’re also very much here for that Victorian era rubber crest logo. Pick up a pair from Huckberry now and enjoy $15 off.